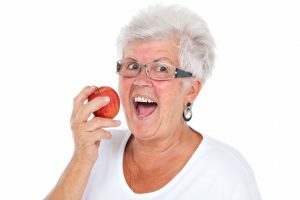 Are Dentures in Medford Right for Me? If you are missing one or more teeth, you are not alone. In fact, more than 35 million Americans do not have any teeth and another 178 million Americans are missing at least one tooth. No matter if you are missing one tooth or all of your teeth, you need to replace your missing teeth. For those who are suffering from the loss of multiple teeth, many turn to dentures. Dentures have been used for decades to replace lost teeth because they are affordable and convenient. However, today there are multiple options available when it comes to tooth replacement. With so many options it can be difficult to determine which is the best option. As a leading dentist for dentures in Medford, Dr. Anthony Giamberardino has the information you need to determine if dentures are right for you. All of your teeth work together to ensure proper oral functions are maintained. When even one tooth is lost, oral functions begin to decrease, impacting your quality of life and confidence. When tooth loss is left untreated, your remaining natural teeth no longer have proper support due to lack of bone stimulation. As a result, the supporting structures begin to deteriorate, causing your remaining teeth to shift. This leads to poor oral health and the eventual loss of more teeth. Not to mention, your facial structures are not properly supported, causing you to develop sagging or sunken skin on the face. Unlike other forms of tooth replacement, like dental implants, just about everyone is a candidate for dentures. In most cases, as long as you have healthy gums and teeth, you can benefit from full or partial dentures. In addition, you must practice good oral hygiene and not have poor lifestyle habits, such as smoking. You must also remain committed to properly caring for the dentures to ensure they maintain their correct performance and comfort. While most people can get dentures, there are some cases that may make dentures unsuitable. For example, those who have sensitive gag reflexes or have a habit of clenching their teeth. In addition, those with atrophied jaw bones or dry mouth may not be candidates for dentures. In some cases, if there is not enough bone dentistry, bone grafting will be needed to allow the jaw bone to support the denture. Which Type Are Right for Me? Now, you have multiple options when it comes to dentures. For those who are missing all of their teeth, traditional full dentures can be used. However, you may also be a candidate for implant-supported dentures or immediate dentures. Those who have some remaining natural teeth, a partial denture will often be the best choice. At Giamberardino Dental Care, we understand the importance of replacing missing teeth to restore your oral health and quality of life. If you are suffering from tooth loss, Dr. Giamberardino will provide the consultation necessary to determine if dentures are right for you. Comments Off on Are Dentures in Medford Right for Me?